Vancouver, British Columbia--(Newsfile Corp. - January 9, 2019) - Ethos Gold Corp. (TSXV: ECC) (OTCQB: ETHOF) ("Ethos" or the "Company") has now received lithium metaborate fusion assay results for all assays from Trenches 18PPT1 and 18PPT2 on its Pine Pass vanadium project located in north-eastern British Columbia. The lithium metaborate fusion assay allows for more complete digestion of mineral species versus the ICP-MS with 4 acid-digestion method that was previously used, as discussed in the Company's December 6 and 12, 2018 news releases. 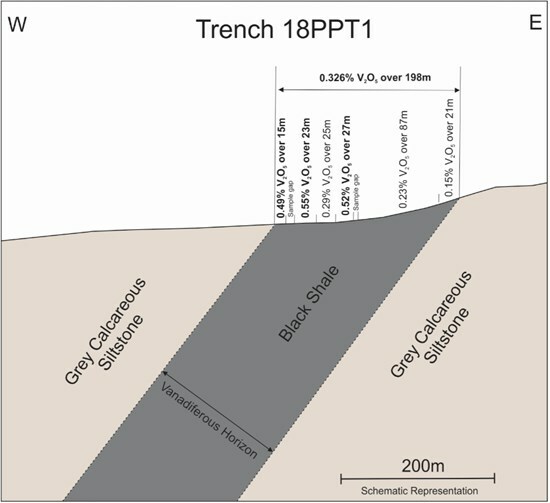 As illustrated below, trenches 18PPT1 and 18PPT2 are located approximately 1.1 km apart along a portion of the east limb syncline vanadiferous horizon subcrop (see corporate presentation at www.ethosgold.com). There is approximately 20 km of prospective subcrop horizon on the Pine Pass property and the planned 2019 exploration program will continue to explore these subcrop horizons including a drill campaign between and north and south of trenches 18PPT1 and 18PPT2. 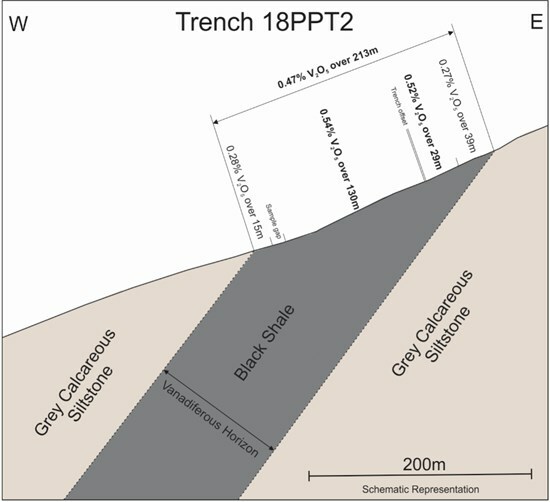 The lithium metaborate fusion results for trench 18PPT2 were on average 11% higher versus the ICP-MS with 4 acid-digestion method and for trench 18PPT1 were on average 13% higher. All prior samples were delivered to ALS Chemex in Kamloops and/or North Vancouver, British Columbia for analysis of select elements initially by ICP-MS analysis using 4 acid-digestion. As noted these re-assay results utilized lithium metaborate fusion analysis followed by acid dissolution. Quality control entailed insertion of company standards, blanks, and duplicates into the trench sample stream. In addition, ALS Chemex routinely inserted blanks and standards into the sample stream at the assay laboratory. All reported standard and blank assay values, as well as duplicates were within an acceptable margin of error. 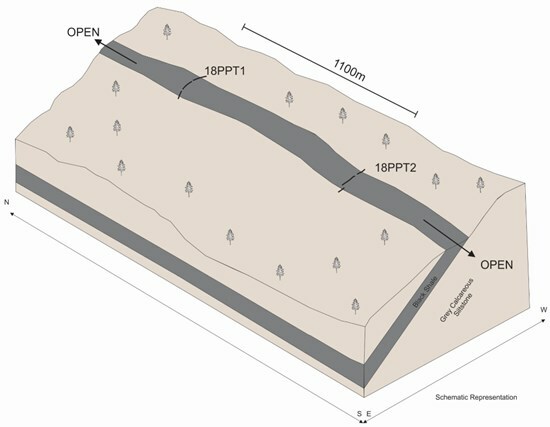 Work at Pine Pass is being supervised by Jo Price, M.Sc., MBA, P.Geo, VP Exploration of the Company. She is a Qualified Person as defined under National Instrument 43-101 and has read and approved this release.